Many have asked me if I put together these newsletters myself. Yes, I create these newsletters on my own, providing all of the content, text and photos. So, no one can be blamed for the typos but me. I would encourage you to Click Here so that you may be directed to my Legislative Website, where you can find other Press Releases and Newsletters on work for our residents, their industries and communities. I have been very busy with my four committees, they are: Vice Chair - Economic Development & Trade, Agriculture & Natural Resources, Energy & Environment, and Early Childhood & Family Support. I have also been busy as the House Republican appointed by the Governor to the State's Opioid Task, and we have a piece of legislation that will begin to address this epidemic that is impacting so many of our friends and neighbors, and their families. As your House Republican delegate to PNWER (Pacific Northwest Economic Region) we continue to work on issues and trade opportunities that will benefit our rural residents and their industries. 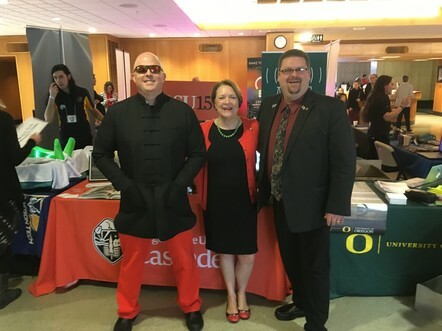 I also continue this work on export and trade for our region as the Chair of the Oregon-China Sister State Relations Council's Southern Oregon China Connection. The Fish, Farm, Forestry and Tourism Industries within our District are the backbone of our communities and I'm committed to their success. We have had some successes already this session. We have formed a bicameral bipartisan Legislative Fire Caucus. During this session, we have been working together to discuss and address issues relating to lack of management and fire. Many of you remember my full time engagement on the Chetco Bar Fire, as well as convening the associated Recovery Council formed after the fire was extinguished. I was also successful in working with my colleagues to convene; as I requested, multiple Public Hearings on the various fires around our State. During the Chetco Bar Fire, I was working directly with Jim Wheeler, the President of the Global Supertanker Services, as well as our state and federal partners, to assist in the plane receiving its certifications. 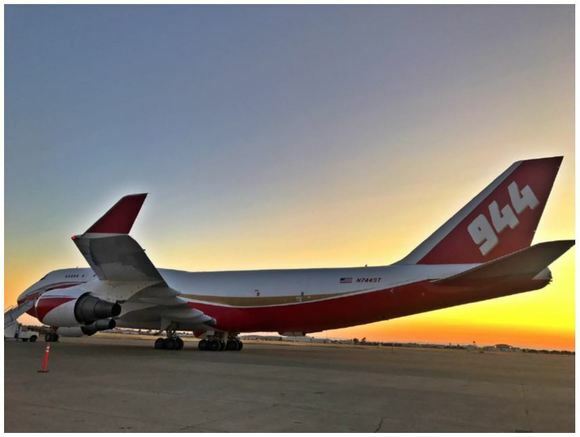 I have continued to work with the Jim of Global Supertanker Services since the Chetco Bar Fire to make sure we have the opportunity to use this amazing plane as a tool on any future fire if and when needed. I am happy to report that there will be a call-when-needed contract signed before our next fire season so that we will have this new tool in our arsenal to protect our residents and communities. We are a little over three weeks into this five week session and every day of this short session feels like a week of the long session. We have lost a lot of process with this session, and it is rather disappointing. We have not been able to have the quality conversations on legislation that will impact the residents of our District and across the State. We are having joint committees on big policy changing legislation; like the Cap & Invest Carbon Tax, with limited discussion in committee, the ability to ask questions and the checks and balances of the two chamber - two committee process. This is happening across the committee process and is a disservice to our constituents and the people of Oregon. Click on the bill number to go to the Bill. Rural Oregon and our region sequesters urban Oregon's greenhouse gas emissions. Unlike the proposed $1.4 billion dollar carbon tax; modeled after California’s extremely expensive and punitive program, HB 4109 is a bicameral and bipartisan piece of legislation that looks to our amazing, renewable forests. We our blessed to grow the best solar powered carbon capture and sequestration engines in the world. Using sunlight to scrub greenhouse gas emissions from the atmosphere to produce oxygen, with a byproduct that is the most resilient building material in the world, wood. My bipartisan bicameral legislation looks to manage our resources, promoting forest health and habitat, while mitigating wildfire, creating jobs and sequestering carbon for generations. It will help provide the needed supply for our wood product industries; such as CLT and Mass Timber production of DR Johnson, in combination with our aggregate and steel industries, to grow and support our rural Oregon residents and their communities. All while growing more carbon sequestration engines that use less water and sequester carbon at a greater rate. I have been working with our industry partners and County Commissioners on this Legislation and I appreciate the Douglas County Commissioners for their joint letter of support, as well as that from the Clackamas County BOC. I have long been involved in solutions to the lack of management of our federal timber resources, as a former County Commissioner and Board Member for the Association of O&C Counties (Click Here for their website and to learn more about the work we are doing for our rural timber communities) that works tirelessly to have sustained management and harvest of our forest resources. As your State Representative, I continue this important work for our residents. 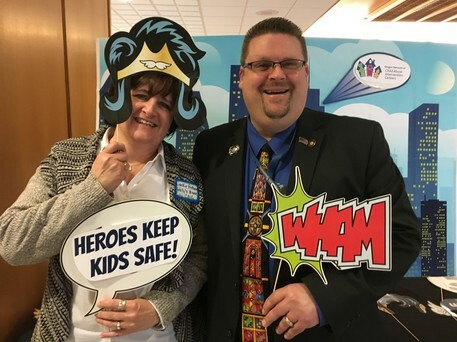 (Click Here for the resolution supporting these efforts and our communities that I worked with our industry partners and Commissioners on and introduced in the '17 Session) Click Here to read the Douglas County Commissioners letter of support. Click Here to read a well written Op-Ed piece describing the bill. Click Here to read the PR on the bill. Both our HB 4109 and their Carbon Tax Bills are currently in the Ways & Means Committee. SB 1550 looks at tracking the location of seafood caught and if there is a bio toxin issue discovered in one location; such as domoic acid in crab, product data can be tracked to check nearby locations for similar bio toxin issues. If one is not found, closures can be localized and much smaller, rather than larger area or coast wide closures. This legislation will also allow for more flexibility in evisceration orders, while keeping the public safe and helping our fishing industries continue to be successful. Our crab fishers are struggling and so are their families. With the delay in the opening of the Crab Season due to elevated levels of domoic acid, and now with the regional closure off southwest Oregon, our fishers are being hit extremely hard and this bill couldn’t come soon enough for them. Please Click Here for more information on the bill. This bill passed the House Floor yesterday with a unanimous vote and is headed to the Governor for her signature. Expresses state policy regarding pursuit of projects under Good Neighbor Authority Agreement. Requires Governor to review terms of Good Neighbor Authority Agreement. Instructs signatory state agencies to work with federal land management agencies to prioritize projects. Requires Governor and Federal Forest Working Group to jointly develop recommendations for goals of Good Neighbor Authority Agreement. Establishes deadline for Governor or designee agency to report recommendations for goals to Legislative Assembly. Allocates lottery funds to State Forestry Department for supporting development, planning or implementation of priority projects on federal forestland under Good Neighbor Authority Agreement. 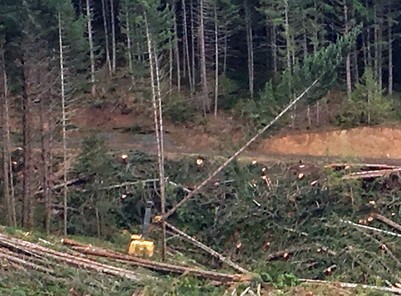 This bill will assist in creating more access to manage our timber resources, creating jobs and growing industries for our rural Oregon communities. The Bill will also aid in forest management projects within the Wildland-Urban Interface to protect life and property from wildfire. Allows county governing body, upon remand of matter from Land Use Board of Appeals to county, to have planning commission or hearings officer conduct hearing and make decision regarding lands designated under statewide planning goal addressing agricultural lands or forest lands. Requires county governing body to review planning commission or hearings officer decision and take one of three specified actions on decision. This bill will allow more tools for our County Commissioners to use regarding land use decisions and will help our residents, communities and the industries that support them. We have a serious problem with affordable housing supply for our working families in our region and across the State. HB 4108 is an extension of my Multifamily Workforce Housing Bill that I drafted and passed in the last Legislative Session. (Click Here for the Bill) This is not the silver bullet fix for housing. It is however one piece of the solution and will help add supply of affordable workforce housing across our State. It will grow these trade sector jobs in our communities. It will assist our middle income working families in purchasing housing they can afford to invest in, create equity in and raise their families in. Equally important, it will open existing affordable rental properties for lower income families, adding supply of low income housing across our state as well. We have a housing crisis. We know we must add supply to alleviate the crisis. We believe this bill is a small investment to add supply, create jobs and assist our working middle income families with affordable workforce housing across our State. Provides that fixed percentage of certain forecasted video lottery revenues be transferred to counties for economic development. Provides that disbursals to counties from video lottery revenues be adjusted to compensate for differentials between previous biennium’s forecasted revenues and actual revenues. This bill will give the Counties the economic development lottery fund dollars they are supposed to receive. This will aid in local economic activities that promote resident businesses and grow our rural economies. After last year's fire season, two State Recovery Councils were formed. I was chosen as the convener of the Chetco Bar Fire Recovery Council. We have been successful in securing resources to assist our communities, mitigate impacts from the fire and assist in their recovery, but it is unfortunately nowhere near what is needed. 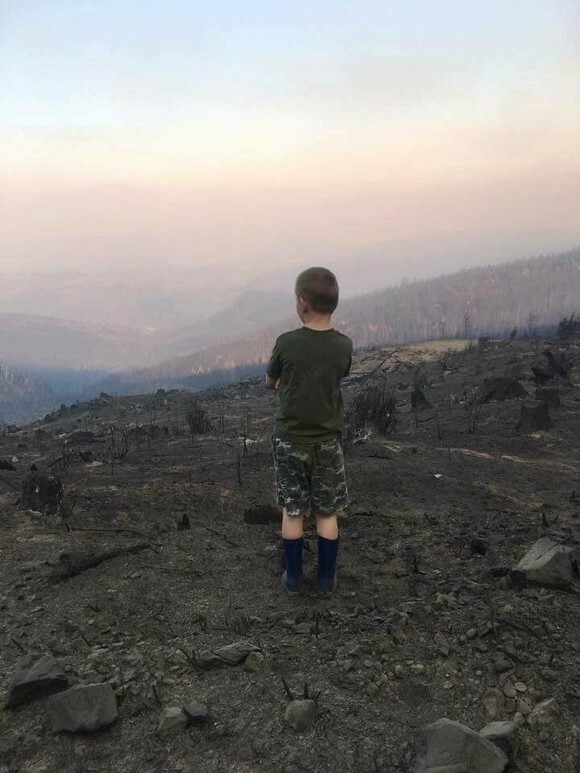 As Vice Chair of the House Economic Development and Trade Committee, HB 4024 was a placeholder committee bill we are using as an attempt to provide some economic resources for our communities impacted by the avoidable Chetco Bar Fire. Allows State Forester to order use of wildfire suppression personnel, equipment and services on any lands within state borders. The Oregon Department of Forestry has an excellent track record of fighting and suppressing fires. We must protect our residents, their property, communities and the industries that support them, and I appreciate Senator Baertschiger's leadership on these issues. With the failure of federal management of our forests, it is increasingly important that the State Forester take a more active role in protecting our residents. Directs Department of Veterans' Affairs to develop written material regarding apprenticeship opportunities and provide material to certain agencies, county veterans' service officers and veterans' organizations for distribution to veterans. Directs department to provide annual training to county veterans' service officers and veterans' organizations regarding apprenticeship programs and federal and state education benefits. 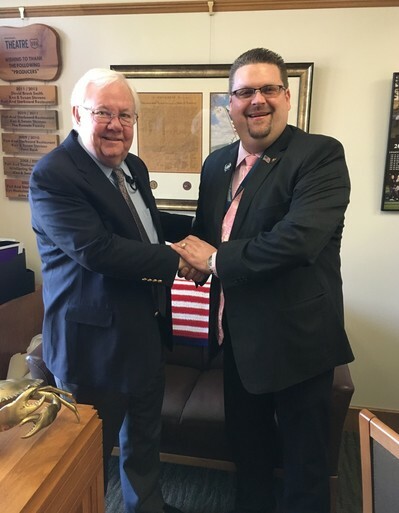 As a huge Veteran advocate and former County Commissioner that supervised the Veteran's Service Officers, I am extremely pleased with this bill and the assistance it will bring our County VSO's and the Veteran's they support. Requires Higher Education Coordinating Commission to provide tuition assistance for qualified members of Oregon National Guard to attend community colleges or public universities. I had the honor to work with some of our amazing Oregon National Guardsmen and women recently during the Chetco Bar Fire. Their assistance was critical to the safety of residents and their property. Oregon is one of the only states that does not provide some assistance with higher education and I'm happy to support these men and women who work in some of the worst conditions for the public health and safety of our residents. HB 4005 - Requires prescription drug manufacturer to report annually information to Department of Consumer and Business Services regarding prices of prescription drugs and costs associated with developing and marketing prescription drugs. I am a market driven individual and support the free market system, but all too often the drug manufacturers increase the cost of prescription drugs for no market driven reason. These increases hurt our seniors, Veterans and families. This bill simply says that if there is a spike in a price for a prescription drug, the company has to clarify why there is such a drastic increase. It's a good bill and will hold drug manufacturers accountable for dramatically increasing the price on prescription drugs on our residents. HB 4056 - Distributes civil forfeiture proceeds to scholarship program for children of deceased or disabled public safety officers. Modifies criteria for scholarship program to receive the funds. HB 4115 - Prohibits statewide elected official, judge of Supreme Court or Court of Appeals or legislator from becoming member of Public Employees Retirement System on or after July 1, 2018, for purpose of service as statewide elected official, judge or legislator. Provides that statewide elected official, judge of Supreme Court or Court of Appeals or legislator may not accrue benefits under Public Employees Retirement System for purpose of service as statewide elected official, judge or legislator on or after July 1, 2018. HB 4068 - Establishes requirements for seed production contracts and seed purchase contracts for seed other than agricultural seed. This legislation is supported by our Farm Bureau and will assist in protecting our farmers and seed producers. So proud of these young men. Pacific is headed to the State Championships! 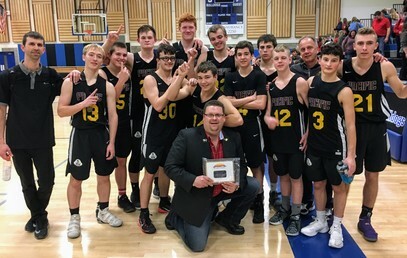 Also proud of our Gold Beach Girls and Coquille Girls Basketball Teams. Also headed to the State Championships. Go Pirates! Global Supertanker President & CEO Jim Wheeler and I in my Capitol Office. I invited Jim to come to the Capitol to have discussions with my colleagues and agencies about his plane and services. I appreciate Senator Baertschiger's work on this important issue as well and we had Jim present to our newly formed Fire Caucus. As I said earlier, I'm happy to report that we are working on a Call-When-Needed contract and it should be signed soon. This will allow ODF the ability to use the Supertanker when needed. Thank you all for your efforts. I had the opportunity to visit forest management and carbon sequestration in action east of Roseburg. 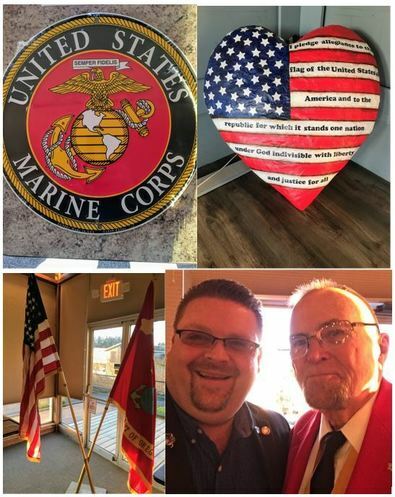 It was an honor to be the guest speaker at the Department of Oregon Marine Corps League Statewide Marine Corps Meeting in Brookings Oregon. Marines from the Marine Corps League across the State attended the event at the Elks Lodge. Thank you to Calvin E. Murphy detachment Commandant Bob Gilmore for hosting and to Oregon Marine Corps League Commandant Dave Romanowski for the invitation. It was truly an honor to be with all of you. 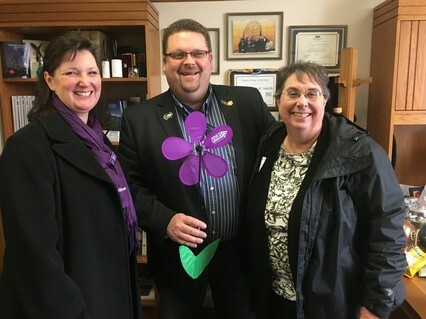 I have a special place for these hard working women and I appreciate the Alzheimer's Association and all of their efforts to find a cure for this debilitating disease. A shout out to our farmers, ranchers and cattlemen. They are the backbone of our rural communities. 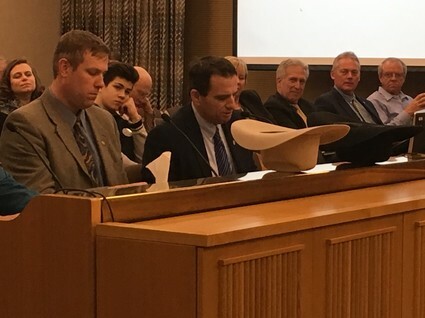 I enjoy seeing a nice hat during a committee meeting. Thank you for all of your efforts on behalf of our natural resource industries, residents and their communities. I had the opportunity to visit with Dairy Royalty! 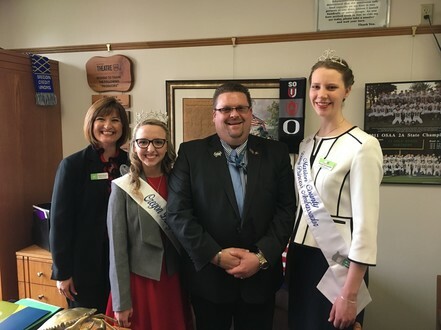 Our Dairy Farmers are so very important to our economies and these young women travel the State teaching our youth about the Dairy Industries, 4-H and farming. University Day in the Capitol. 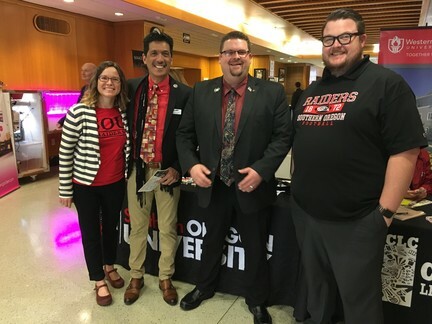 Here we have Representative Clem, Representative McKeown and myself supporting OSU & U of O. Again on University Day in the Capitol. Here I am with folks from my University, SOU. Of course when I attended it was SOSC. 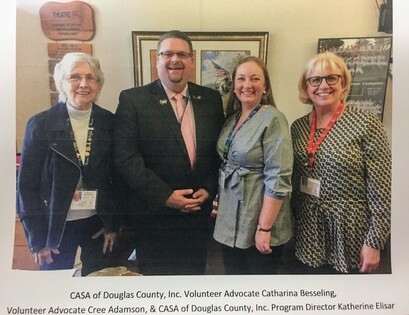 One that is close to my heart, CASA (Court Appointed Special Advocate) from Douglas County. These volunteers are dedicated to assisting our youth and we are blessed to have them. CASA is always looking for more volunteers and I encourage you to reach out to your local CASA if you are interested. Another close to my heart, Jackie Antunes, Director of Wally's House, Curry Child Abuse Intervention Center. I am grateful for their efforts on behalf of our most vulnerable, and Jackie does incredible work on their behalf. There are still a number of pieces of legislation that would negatively impact our residents, communities and the industries that support them. We continue to work with our colleagues in the building to stop bad bills, but with only twenty five Republicans in the House against the thirty five Democrats, it is a serious challenge. It takes us all working together and I appreciate my colleagues support and teamwork. It is a privilege and honor to work for you as your State Representative. I again encourage you to CLICK HERE to be directed to my Legislative Website, where you can read more about my work on behalf of our residents. Thank you and God Bless.